My experience with yoga is one of continual growth and transformation. 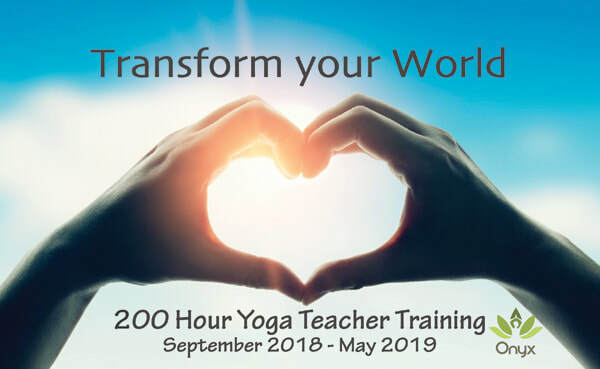 As I teach others in regular classes at Onyx, guide and develop our Yoga Teacher Training program and lead yoga retreats, I continue my status as a student expanding into different branches of yoga such as Yin Yoga, Yoga for Trauma and Kundalini. In particular, I am most proud of our Yoga Teacher Training program at Onyx. One of the main reason our program stands out from others (and there are a lot out there!) is that we have organized our program to be rooted in the ancient texts and teachings. It is time tested and sacred. Through these teachings you will learn how to be you. As a program leader, I am not interested in re-producing a bunch of mini Shannon's. I am interested in helping you tap into your own Soul and lead your life's work. We each come onto the planet with different karma and gifts which dictate our reason for being here. We often make mistakes by thinking other people's life work (dharma) is cool and try to replicate it. It never works out. My daily work is different than yours and we help you not only connect to that but begin to live it out. We have created a platform at Onyx that allows every teacher the opportunity to teach with their heart leading the way. While many of our teachers at first glance appear different (styles, voices, etc), you will see the common thread is that they get to be exactly who they are. We encourage our teachers to hold workshops and grow their own passions, voices, and trust in themselves. My dream as studio owner is to continue to cultivate and grow a safe space where teachers can live out their dreams. This is the feeling you get when you walk into Onyx - acceptance, love, and support to be who you are, and of course our community gets to embrace and experience this too. We really do welcome everyone.